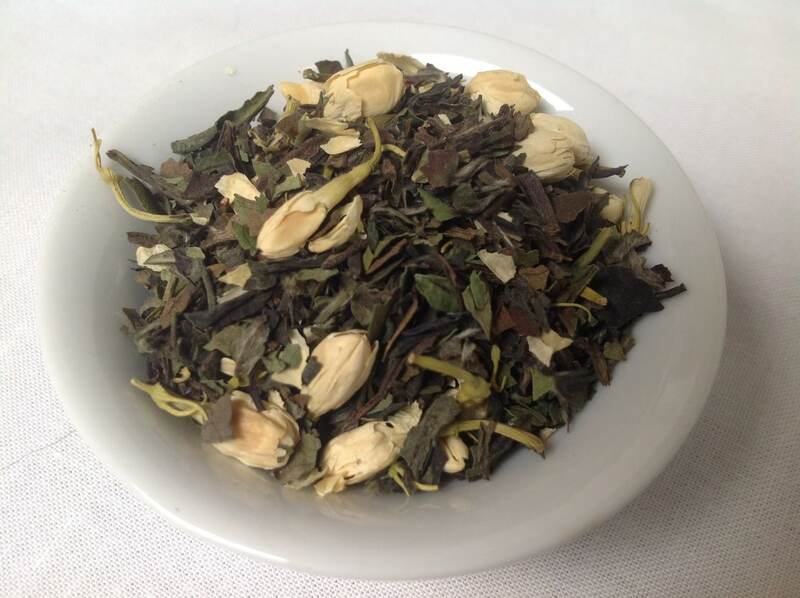 ‘Leaf on the Wind’ came out of a combination of two things – one was a search for a tasty tea a friend with thyroid issues could drink, and the other was a desire to experiment with white tea. It seemed fitting to create a Jasmine White Tea, as I thought the flavours would work well together, and Jasmine is a favorite scent and taste of mine. When we got to the naming stage, the meditative sense of the ingredients made for a fairly easy connection for us to the mantra of one of our beloved pilots, Wash. This entry was posted in Floral, Simply Tasty Teas, Things We make (Tea, Coffee, Cocoa), Types of Tastes, White Tea and tagged Artisanal Tea, Fandom Tea, Firefly Tea, Geek Tea, Organic Jasmine, Organic Tea, Organic White Tea, Serenity Tea, Simply Tasty Tea, Small Batch Tea, Whole Ingredient Tea by DesertSage. Bookmark the permalink. This sounds absolutely delicious for my taste buds AND my thyroid. 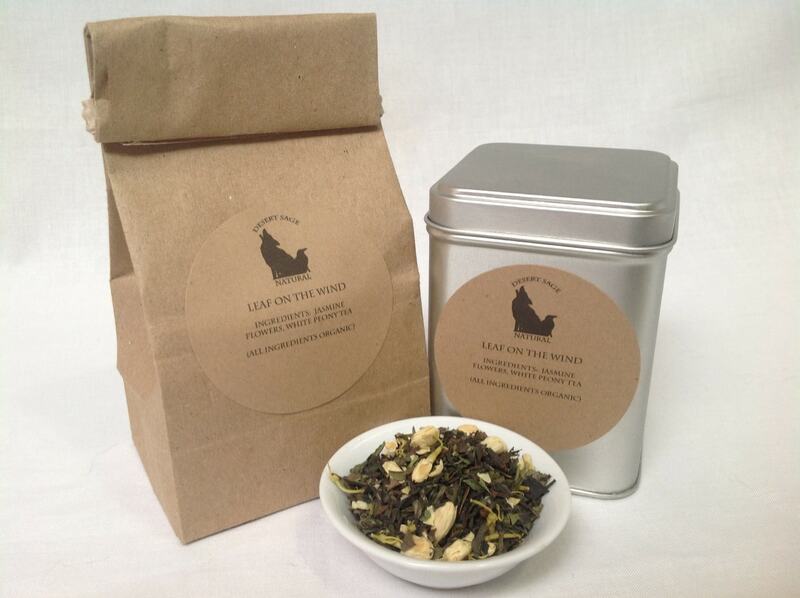 It was our first outing with white tea, and I was surprised at how distinct a taste difference there was from green. The thyroid tea quest was also kind of fun.